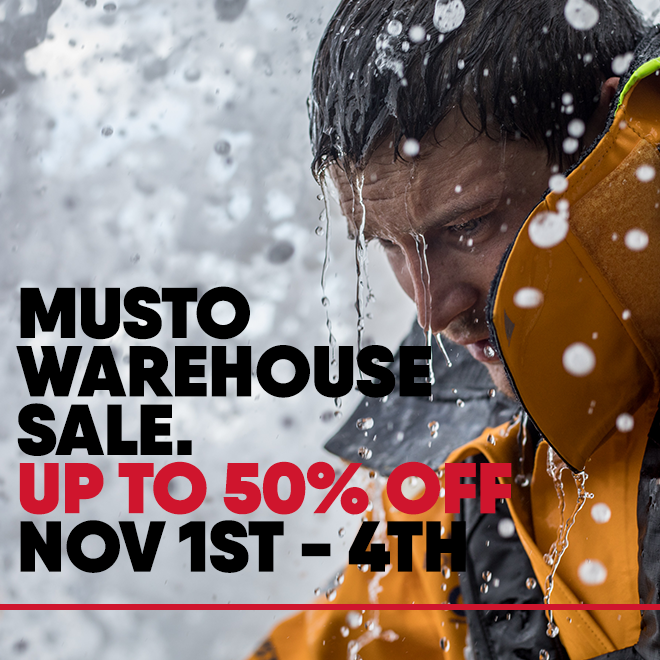 Musto Warehouse Sale This Weekend! Up to 50% off. Featuring discounts on end of line premium sailing Jackets & Trousers, Lifestyle Clothing and Footwear. Be The Best. Wear The Best.